Earlier this year, I blogged about my Top 5 Bookish Podcasts. Since then I’ve become even more of an avid podcast listener, and have been branching out into other subjects. So here are a few more recommendations for you podcast fiends. If you like author events, and you like non-fiction and journalism, you’ll like Longform. The Longform podcast is co-hosted by the two guys who founded the website, Max Linksy and Aaron Lammer, and Evan Ratliff from Atavist. They introduce each episode, taking turns interviewing journalists and other longform non-fiction writers. My interest in this podcast is pretty well documented – as you’ll know if you’ve seen any of my Reading Week link posts. It turns out that journalists really enjoy talking about their work, and I really enjoy listening to them talk about their work. Top tip: Listen to the women and Eli Sanders first – they’re all the most interesting. 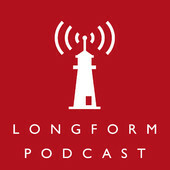 Subscribe via iTunes or find episodes on the Longform website. My next pick is fairly similar in style, like a more polished Longform, but centred around specific stories. 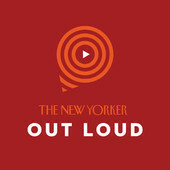 It’s a weekly podcast which takes one of the top stories from the current issue of the New Yorker and posts a discussion by its author around the topic. Since I recently received a digital New Yorker subscription for my birthday and don’t always get around to reading much of it, this is a great way to either get a taster of the longer pieces or to engage further with the ones that have already passed. It’s also often another opportunity to hear from great writers who have featured on Longform – like the recent episode with Ariel Levy. 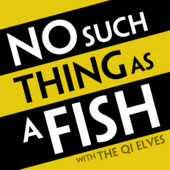 Only QI would think to have such an intriguing podcast title. This is a great example of an enterprise using its ‘ends’ or process as a way to create a piece of fun and interesting content. In a way you’d be smart to keep it a secret – there’s nothing more deflating than firing out one of your best trivia facts and someone coming back with, “That was on QI, wasn’t it?” Regardless, I’m telling you about it. It’s a round-table with a handful of the QI Elves, who give their top 10 facts of the week, with plenty of digressions along the way. It’s a tidy half-hour, and good fun to tune into while walking or doing the dishes. Subscribe via iTunes, on SoundCloud, or the QI website. This charming and brand new podcast from Karina Longworth is like a musty Old Hollywood biography in audio form. It’s billed as a storytelling podcast exploring”the secret and/or forgotten histories of Hollywood’s first century”. And it’s just marvellous. Longworth made these pretty much for herself during a working lull where she was spending more time promoting recent work than writing new stuff. A feeling many of us know all too well. She put that creative energy to great use, writing and performing these fantastic narrative pieces brought to life with snatches of expert interviews and music. She’s a first-time podcaster, so the audio is a little uneven in the first episode, so be patient with that – but damn, it’s quite a first attempt! Subscribe via iTunes or hit up the Tumblr for downloads and show notes. Another new one to me. 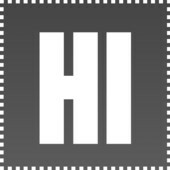 In which your friendly internet education-meisters CGP Grey and Brady Haran talk about things and stuff – mostly of the kind that concerns internet creators. After an initial run of 10 episodes, Grey posted a video today saying that they’re extending the run for 10 more. So far I’ve enjoyed their chats about copyright, work-life balance, and feedback on feedback. Give it a listen on iTunes or tune in with random video inserts on YouTube. Which podcasts do you like to listen to? Throw me your recommendations! I’ve teamed up with the Scottish Book Trust to take part in their monthly Book Talk podcast. Each month host Paul Gallagher invites 2 people along to discuss a new book. I was lucky enough to be invited along to record January’s edition, which features myself and the insightful Lee Randall discussing Jennifer Egan’s A Visit From the Goon Squad alongside Paul. You can listen to the podcast here, download it from iTunes here, and keep up with Book Talk at http://scottishbooktrust.com/booktalk. Book Talk is also running a competition to win the 3 books which feature in the January, February and March podcasts: A Visit From the Goon Squad, The Death of Lomond Friel, and Boxer Beetle. Click over here to enter. Good luck! A Visit From the Goon Squad is out now. You can buy it over here.